Lula has been jailed since April on a corruption conviction that will almost certainly bar him from running. 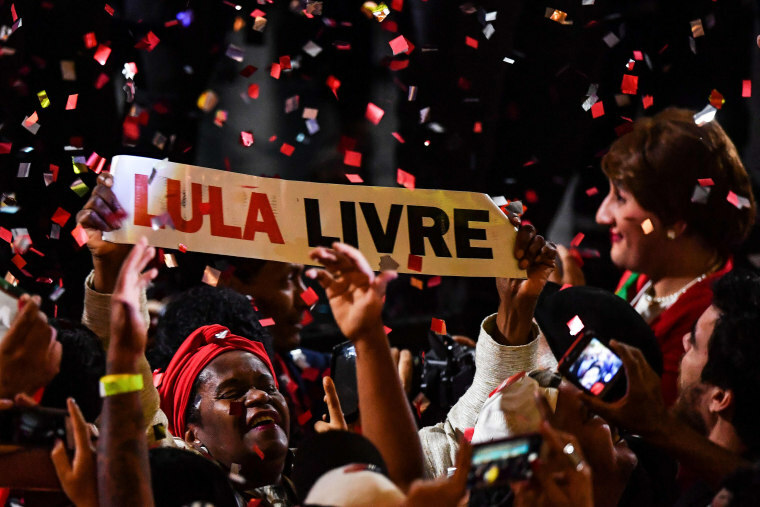 SAO PAULO, Brazil — The Workers’ Party in Brazil officially named jailed former President Luiz Inacio Lula da Silva on Saturday as its nominee for the country's top job in October's election. His nomination adds a further degree of uncertainty to what is already Brazil's most wide-open election in decades. Conservative Geraldo Alckmin and centrist Marina Silva are polling second and third behind far-right candidate Jair Bolsonaro in early polling that excludes Lula. "Nobody tolerates a state infested by corruption anymore. We are going to unlock the economy by downsizing the state," he told the center-right Brazil Social Democracy Party (PSDB)convention in Brasilia.